It should’ve been a simple, feel-good story. 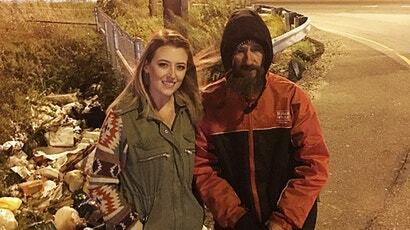 A homeless man used his last $20 to help a woman with car troubles, and she returned the favour by starting a GoFundMe that raised $US400,000 ($551,059) to get the man on his feet. Now a judge has ordered all the funds handed over to the man’s legal team after the couple refused to do it without being compelled. The case has become a confusing he-said-she-said saga. 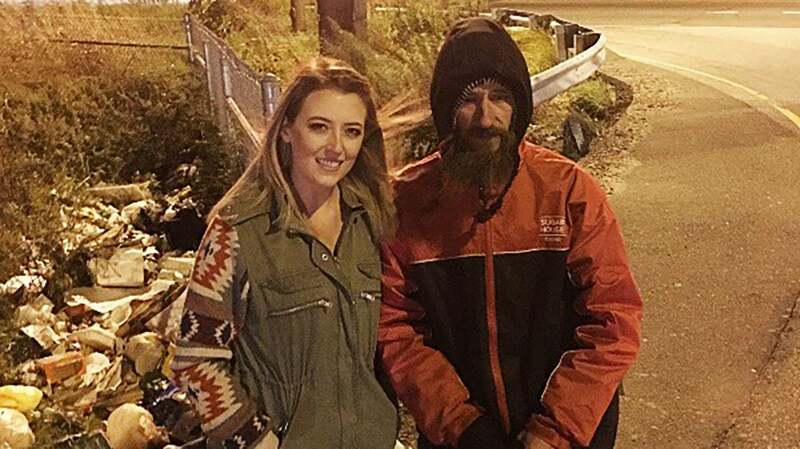 Kate McClure ran out of petrol on an interstate in New Jersey when Johnny Bobbitt Jr noticed her predicament and decided to help her. He told her to stay in the car, lock the doors, and said he’d be back with the fuel. McClure was moved when she realised he spent his last $20 on her and tracked Bobbitt down later to repay him. She also started a GoFundMe campaign with a goal to raise $US10,000 ($13,776) for Bobbitt. It went viral, McClure appeared on major television shows with her boyfriend, Mark D’Amico, and eventually $US402,706 ($554,787) was raised. Months later, Bobbitt filed an injunction against D’Amico and McClure claiming the couple had misused the funds and wouldn’t show him the financial records for the money that was intended to be given to him. According to New Jersey’s WPVI and KYW, the couple’s attorney said they had previously given Bobbitt around $US200,000 ($275,529) of the funds. Bobbitt’s attorney said the figure is closer to $US75,000 ($103,324), including the cost of a camper for Bobbitt to live in and other items they reportedly purchased for him. On Thursday, a Burlington County judge told D’Amico and McClure the remaining funds must be turned over to Bobbitt’s legal counsel and held in an escrow account while court proceedings continue. According to NBC Philadelphia, the couple was also ordered to supply the court with a full accounting of how the funds have been spent. This story’s disappointing turn went public following a recent report from Philadelphia newspaper The Inquirer, which offered differing accounts from the couple and Bobbitt of exactly what happened to the money in the last 10 months. D’Amico claimed that Bobbitt has a drug problem and that he couldn’t be trusted with the money. “Giving him all that money, it’s never going to happen. I’ll burn it in front of him,” he told The Inquirer. Bobbitt has admitted in his court filing that he has a substance abuse issue and that he spends $US15 ($21) per day to buy opiates or Suboxone, a prescription drug used to treat opioid addiction. Bobbitt told The Inquirer he believes D’Amico has a gambling problem and other money was spent on a new BMW and recent holidays to California, Florida and Las Vegas. D’Amico denies any wrongdoing and said that he did borrow $US500 ($689) from Bobbitt one night when he realised he didn’t have his Sugar House Casino card on him. He claims he paid Bobbitt back with his winnings. There are other conflicting allegations — far more than there should be. The bottom line is that D’Amico said the full amount of money worked out to be about $US350,000 ($482,176) after the GoFundMe fees. In the last week he has alternately claimed there is $US150,000 ($206,647) and $US200,000 ($275,529) of that money left. Bobbitt’s lawyers are asking that all money be handed over and that a “guardian ad litem” be appointed by the court to help determine what’s in their clients best interest. It’s unclear why it should be so difficult to account for the how the money was spent, but records must be provided by September 10. Badway did not respond to a request for comment from Gizmodo.